Little Prince Louis, who was born on April 23, will join a long line of royals who were baptised at St James’s. Before big brother George, 4, who received the sacrament in October 2013, the last royal to receive her christening there had been Prince Andrew and Sarah Ferguson’s daughter Princess Beatrice, in December 1988. During the years before many other members of the Royal Family were christened at the palace. Among them, Prince and Princess Michael of Kent’s children, Lady Gabriella Windsor and Lord Frederick Windsor, were baptised respectively in 1981 and 1979. And further in history, Prince James, Duke of York, second son of Charles I and Henrietta Maria, who was christened in 1633. But this chapel also resonates with the Duke of Cambridge for another reason. St James"s Palace is the chapel where his mother Princess Diana was laid before her funeral in 1997. Ahead of Prince George’s christening, parents William and Kate said they made a “personal decision” to hold the baptism there. Despite the personal attachment the Cambridges have to St James’s Chapel, the Duke and Duchess chose not to baptise their only daughter, Princess Charlotte, there. 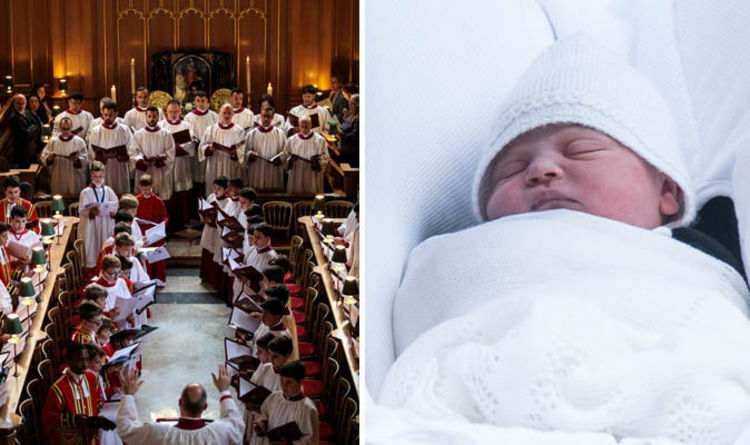 Charlotte, 3, was christened at the St Mary Magdalene church on the royal Sandringham Estate in 2015, where her late grandmother Princess Diana was also baptised in August 1961. The Queen, among others, goes to this chapel when she stays at nearby Sandringham, her private estate. St Mary Magdalene is also where the Royal Family worships on Christmas Day. The Archbishop of Canterbury, the Most Reverend Justin Welby, will baptise Louis on July 9. The ceremony will feature some very special water coming from the River Jordan in the Middle East, which is associated with Jesus Christ himself. Prince Louis, who hasn"t been seen in public since he was introduced to the world by his radiant parents on the day of his birth, will wear the same gown worn also by his siblings, a replica of the famous Honiton lace christening gown. The original dress was made in 1841 for the christening of Queen Victoria and Prince Albert’s first child Princess Victoria.